"Back to 7dayshop now that postage is included again. - Good quick delivery and competitive price." "Efficient service, fast return good quality items at good price." "Had a few things from 7dayshop & so far everything has always been good, in delivery & product." "Best price, fast delivery. - Always fast delivery. Always the best price." "Quick accurate service quality goods - Quick accurate service"
"Great value for hte money.!!!!!!!!!!!!!!!!!!!!!!!!!!!!!!!!!!!!!!!!!!!!!!!!!!!!!!!!!!" "From purchase to delivery has always been good, would recommend to anyone"
"Easy ordering, efficient delivery and exactly like the site said it would"
"A Top Class Seller - Always provide a first class and speedy service"
"Great products at the right price - Good price with quick free shipping"
"prompt and efficient also good value - Good service good value"
"Fit for purpose - Arrived in the advertised time frame and appears to be suitable for the my needs"
"Excellent product, service and delivery - Online service and delivery superb"
"Item was delivered on time and well packed. IT also works ok."
"Just The Job - Speedy delivery of very good product at a fair price"
"Prompt dispatch - product works as advertised. Highly recommended!" "A great service, fast and as described. I would recommend this seller. Nick." "Very good as always. I will probably not by batteries from anywhere else." "Top Class again - So easy to to deal with and excellent delivery of quality goods"
"Always a pleasure to shop with 7 day shop. Good value and swift transactions." "I always say the same thing when I do these reviews. Good quality, good value, and good service!" "Rarely have difficulties which if reported are swiftly resolved." "Good online retailer. - Usual excellent service, can recommend them and will use them again." "Excellent - Good price quick delivery everything one wants from a company"
"Always good value and great postage pages and quick delivery." "Good service at very reasonable prices Have used 7 day shop several times"
"Prompt deliver with updates regarding progress of goods, plus reasonable priced"
"A very straightforward transaction, fast delivery and excellent value for money. Will use again." "Good service unfortunely my order was repeated without my request, otherwise happy with service." 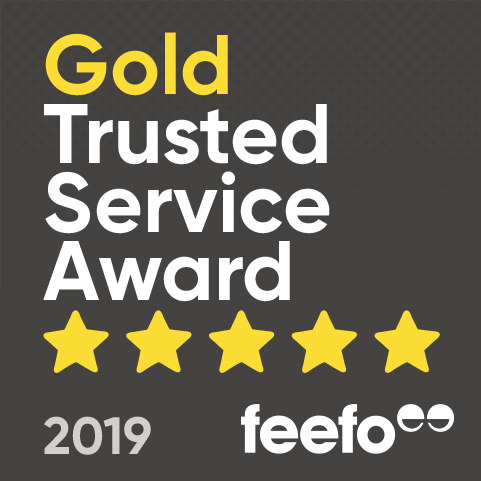 "satisfied - Efficient service , would use again and would recommend"
"Great as always returning customer would highly recommend it"
"I would use them again in the future - I have always had good service from 7 Day Shop"
"Goods came quickly and well packed.What more can you ask for." "Always good prices, quick delivery and if needed good customer service"
"Yes, I have always found buying something from 7day shop very easy and always very quick delivery"
"Godd Product - Quick and easy to use, products does exactly what I expected it to." "Top notch service - Briliant service as always 5 stars all round"
"great service and great prices - Brilliant service as usual. Quaoity goods and very fast delivery;"
"Good all around... - Very good seller, quality items,compatible prices and quick delivery." "Value for Money - Just as described, fast delivery, great price, well happy." "I have used 7Dayshop many times and the service and goods have always been 5 stars." "Website very easy to navigate. Order process is quick and simple. Dispatch and delivery very prompt." "Easy to use website and ordering process. Delivery as expected on time"
"Top Service - excellent service as always.Been using them for over 6 years now, never let me down." "Very happy with my watch. It arrived in good time and it does exactly what I want it to do"
"Very easy site to navigate and very easy payment portal : ) - First class!" "Quick delivery - I am a regular customer, the delivery was quick as usual." "Perfect. Product was as described, arrived promptly. I've not had a problem with 7dayshop yet." "A good experience - A well packaged product delivered promptly." " Always A1 service - Always good service and value for money. Will keep on using them!!" "Usual good service. - Good service, as always. Goods were delivered, for free, in 3 days." "Very good price, delivered free. - Delivered free within 7 days." "Great value and quick free delivery - Great value and quick free delivery"
"Everything was a good experience, right from ordering to receiving it. Good product." "Have used them for quite a few years, always efficient and reliable." "Very speedy delivery. I've had these cartridges before, so know they are good"
"They are good batteries - Yes and Yes They are rechargeable batteries?"